I've used a new hg tree under qemu to generate the diff. It's a bit ugly now; I'm thinking to modify the install script to store the new files as plain files, and use the patch only for modification to QEMU sources. 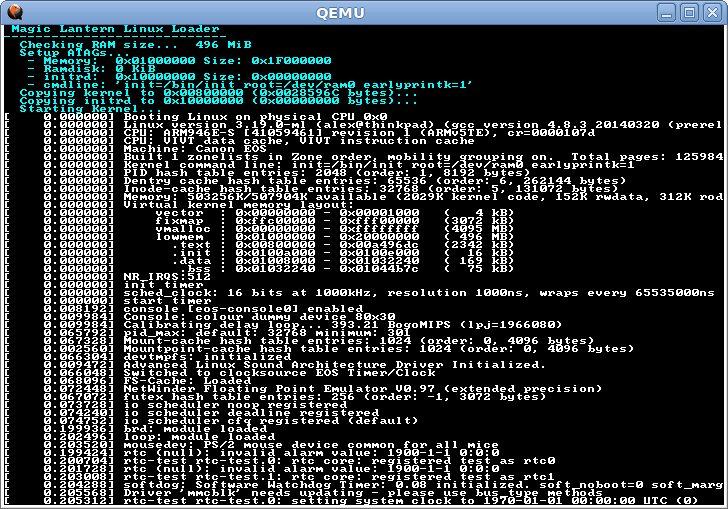 6D is running in Qemu.. ML seemed to run but I did not see hello world in VNC. Ran the canon FW and debugger and it opened up stopping at ff0c0008. I guess this can be connected as debugger to ida or another disassembler? Yes, you can connect from IDA or GDB to localhost:1234. The display device is not implemented - it just saves a screenshot when you call dispcheck. and can't connect to vnc or gdb. vnc isnt implemented for eos cameras, just gdb. Works in linux. You can connect over vnc and shut down qemu. It would be nice to also get it running on Windows though - of course I have Linux/whatever vms, but for ml I'd like to get around them on my puny laptop just like there is no need to use Linux to compile ml. I can post the binary... the armmmu folder is only something like 20-30mb.... but I can't connect to it in windows, like it needs another patch to use the networking. The linux binary will only connect on localhost so I can't push it out to gdb over the network. 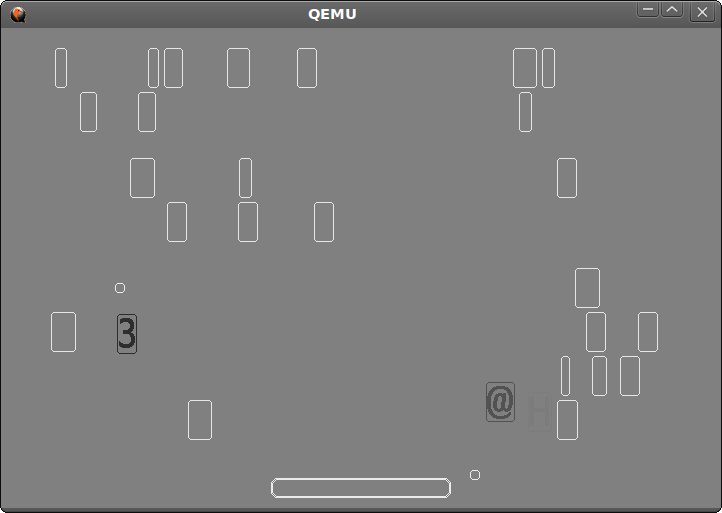 Thats the prob I'm having with QEMU. The linux binary will only connect on localhost so I can't push it out to gdb over the network. Use a ssh tunnel or network redirector? I turned UFW off and set some forwarding from lo to eth0... so far its working. Really would be nice to get it on one machine tho. Is there a way to run qemu for a 550D? Yep, just edit the files and add 550D + values. but it still won't work. The 550D is not listed under supported machines. I don't know if it's important and failure is caused by something else, or caused by my installation? Well I have no vram.txt as you see. Do you have any clue? No menuindex.txt not running "python2 menuindex.py"
make: `qemu-helper.bin' is up to date. convert: unable to open image `vram.txt': No such file or directory @ error/blob.c/OpenBlob/2641. convert: no images defined `vram.png' @ error/convert.c/ConvertImageCommand/3106. You have to add add it to eos.c too. But is it possible to test a picoc script already? I wish.. I couldn't get anything useful for debugging either. Feel free to turn it into something useful... like script interpreter, testing server, source-level debugger, HDMI emulator, support for image buffers, add a nice GUI... or just port it for your camera. I've only tested it on 5D3 1.1.3, and it's been already used to debug the early 100D ML port in GDB. 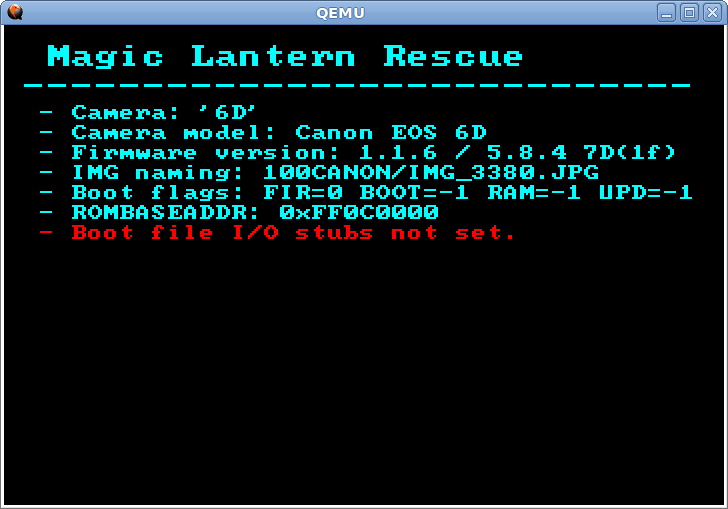 Other than that, emulating 7D ML in QEMU works quite well. Any hints about how to emulate the master processor and the communication between them? Correct, file writing is not implemented. The entire FIO implementation is weak (only single-task and very poor error checking) - that is, just barely enough to load ML . 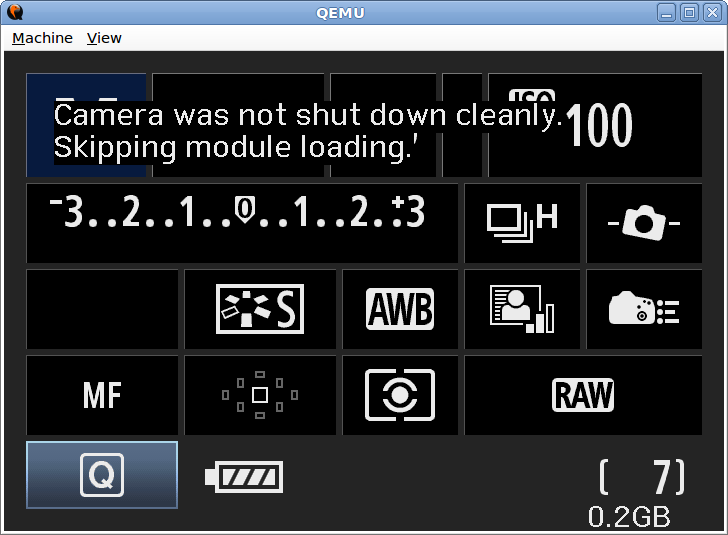 Just had success in emulating the display test (on most cameras). On 6D, I had to emulate the bootloader as well (without it, the display init routine would get stuck). Anyone know what this HDMI USB thing is, I don't see this on the 550D or 700D when I play with them, this loops so much and makes it super slow to work the menus? Anyone know what this HDMI USB thing is [...] ? That's Canon's HotPlug task reading those registers. 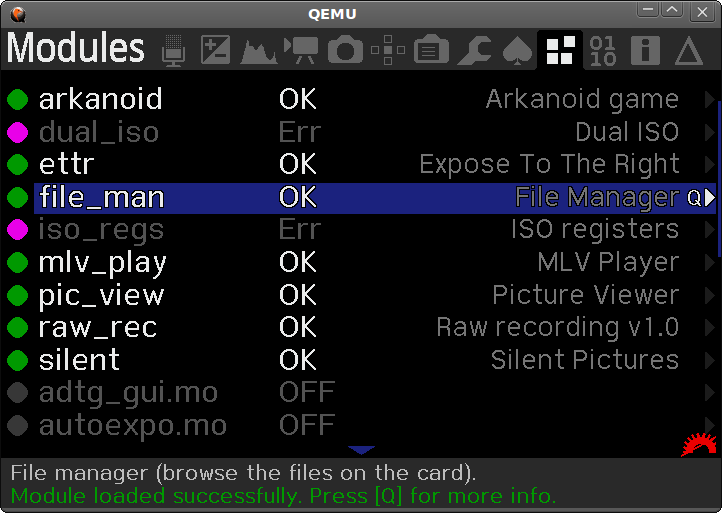 I'll add an option to quiet them down ( -d ioport, as this one is standard in qemu).